Preheat the oven to 180°C (160°C fan, gas mark 4) Grease and line two 6 inch cake tins. For the 6 inch cake, cream together the butter and sugar until light and fluffy. Mix together in a separate bowl the baking powder, flour and cocoa powder then gradually fold into the wet mix. Add the chocolate extract and mix until incorporated. Split the mixture between the two tins and bake until cooked throughout for approximately 30-35 minutes. Follow the same method for the 9″ and 12″ cakes, baking the 9” for 45-50 minutes and the 12” for 70-75 minutes. (Bake times may vary between ovens). To make the buttercream, beat together the butter, icing sugar and cocoa powder then gradually add the milk to loosen. Once the cakes are fully cooled, sandwich them together by filling them with buttercream. Smooth the remaining buttercream over the top and sides of the cake to ‘crumb coat’ and help the chocolate sugar paste stay in place. 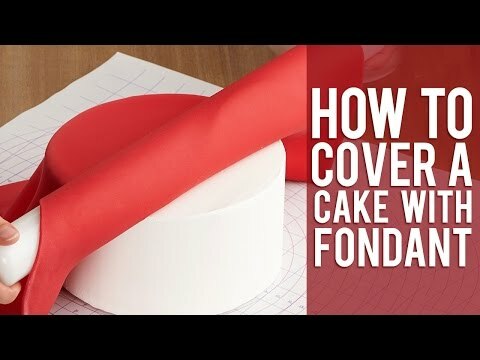 Place on a thin cake board the same size as the cake. Roll out the chocolate sugar paste and carefully lay over the cake. 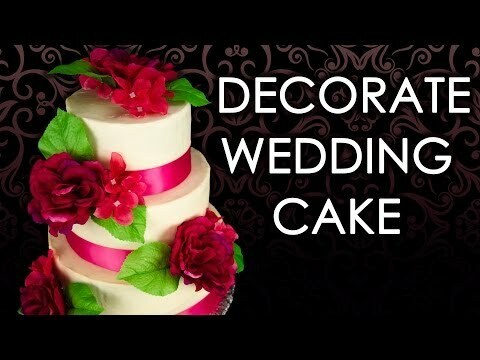 Using a cake smoother, smooth the surface of the top and sides of the cake and trim off any excess sugar paste with a sharp knife. Untidy edges can be tidied up and covered with pretty ribbon. 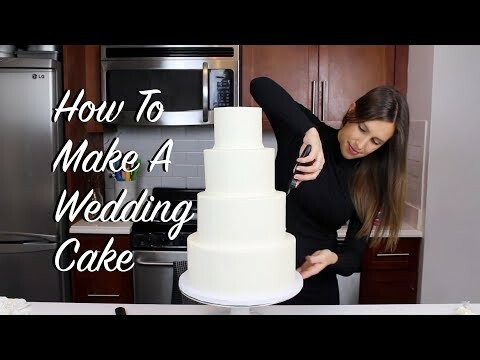 Repeat the process for each cake. 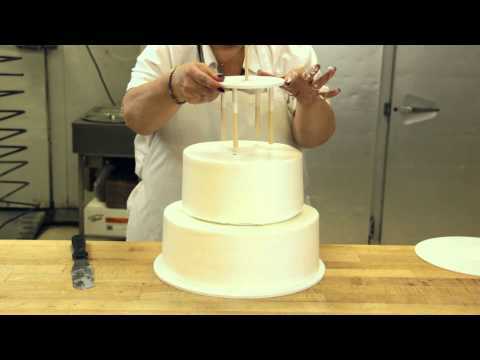 To assemble the cake, insert four or more dowels (you may want to use more on the bottom tier as it will be holding more weight) in to the centre of each cake, spaced evenly apart to distribute the weight of the cakes. Mark the dowel where it reaches the top of the cake and remove. Carefully, cut the dowels so that they become the depth of the cake. Reinsert the dowels in the holes that you made in the cake. When you are ready to assemble, place the 8” cake in the centre on top of the 12” cake, ensuring that the dowels are holding the weight. 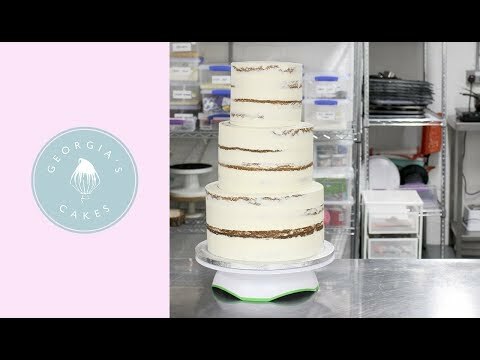 When the cake is secured, stack the 6” cake on top of 8” cake. Decorate as you wish, we think that pink fresh flowers give a feminine touch and great colour contrast.